Yesterday as I pulled up to my house, my friend Daniel de la Falaise was coming back from my front door, looking insufferably pleased with himself; he was on his way to Paris, would be back in a week, and had left a little something for me in the meanwhile. 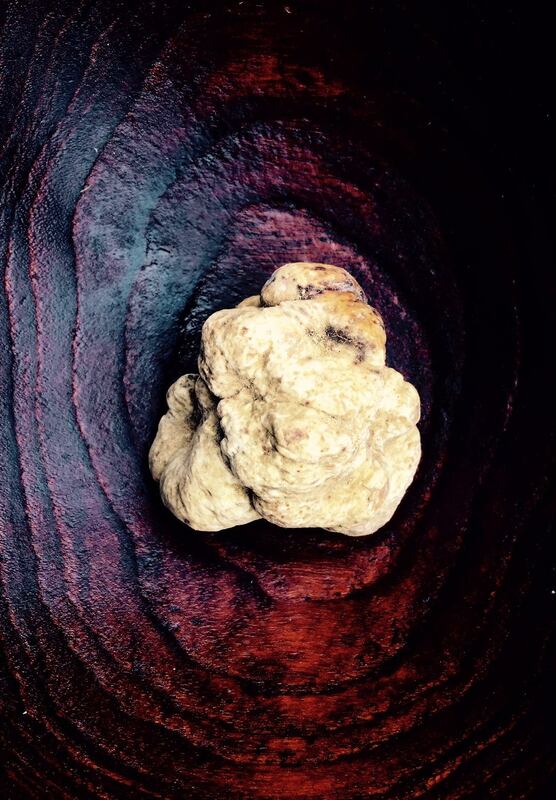 As it turned out, he couldn't have been as pleased with himself as I was with himself, since what he'd left is the mystic entity shown in the photograph; a superbly & voluptuously beautiful white (sic) truffle. The aromatics are pretty hard to believe; if there were only a "Nosebook" app (you listening, Mark Zuckerberg?) you could smell it on Facebook.